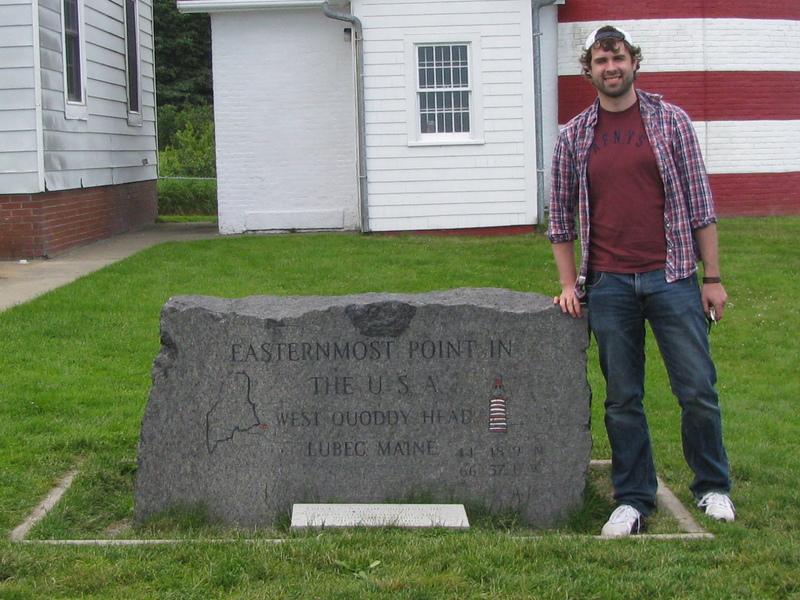 I can’t believe it has taken me four months to finally write about our Fourth of July vacation to Atlantic Canada…but here it is! I welcome you to the first of a three part recap of the trip. It all started in June, when I was playing around with road trip ideas in my head, freshly inspired by the move out east and the ability to see new things that I didn’t have the chance to see back west. I saw New Brunswick on the map one day and realized that the province was within striking distance for a nice, long road trip. 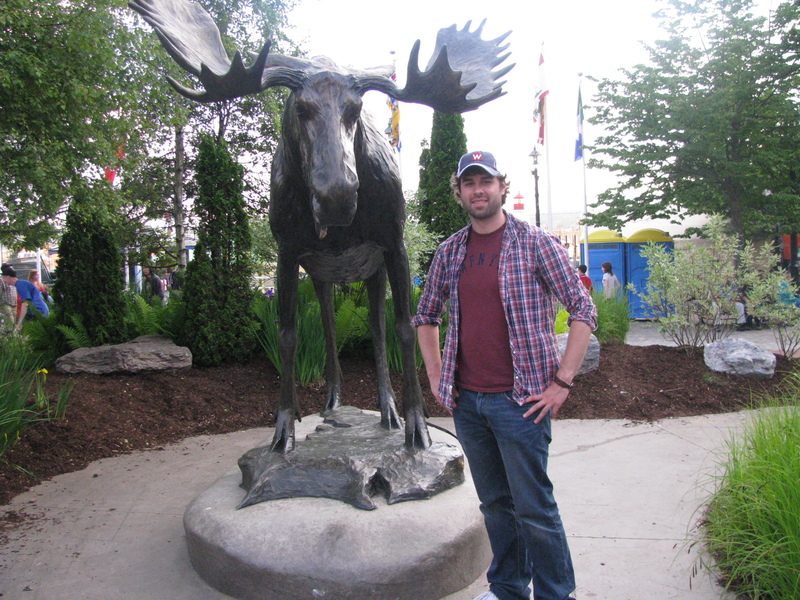 I had always been fascinated with the smaller, coastal Canadian provinces (as well as Maine), but had never had the chance to visit. So, like that, I made room for a trek that would span from June 30-July 4. 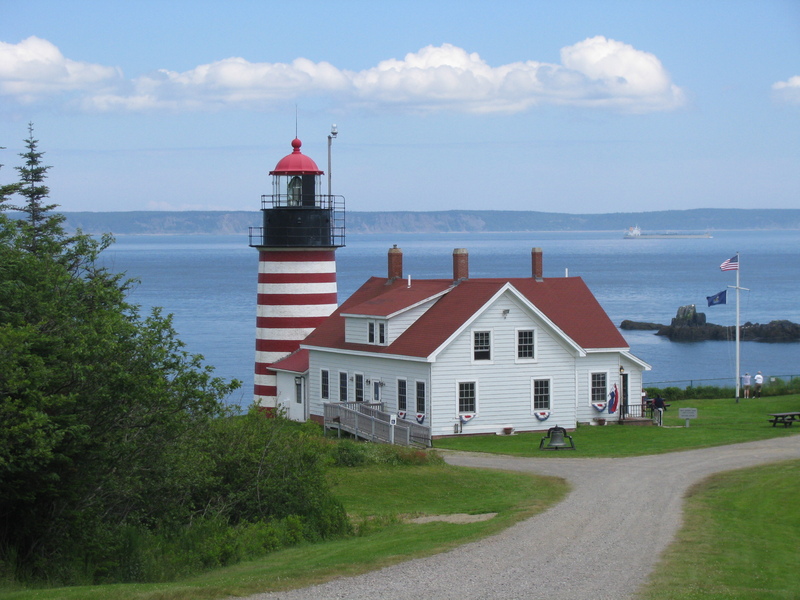 I struggled with the details, though, and decided to tack on a drive to Prince Edward Island at the last moment making the five-day journey a road-tripper’s dream. 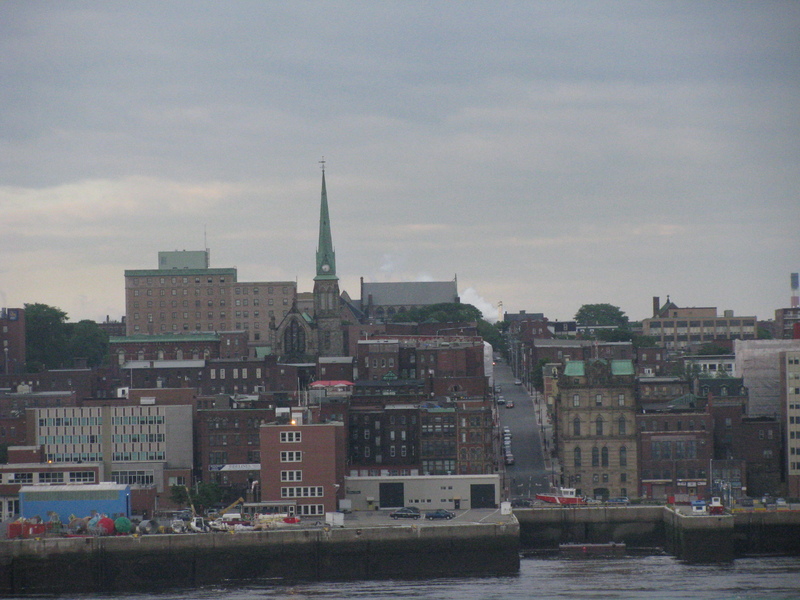 The route would take us up to Portland, Maine, then Saint John, N.B., Charlottetown, P.E.I. and then back to Saint John before heading back home on a 21 1/2 hour Fourth of July drive that I already documented earlier this year. 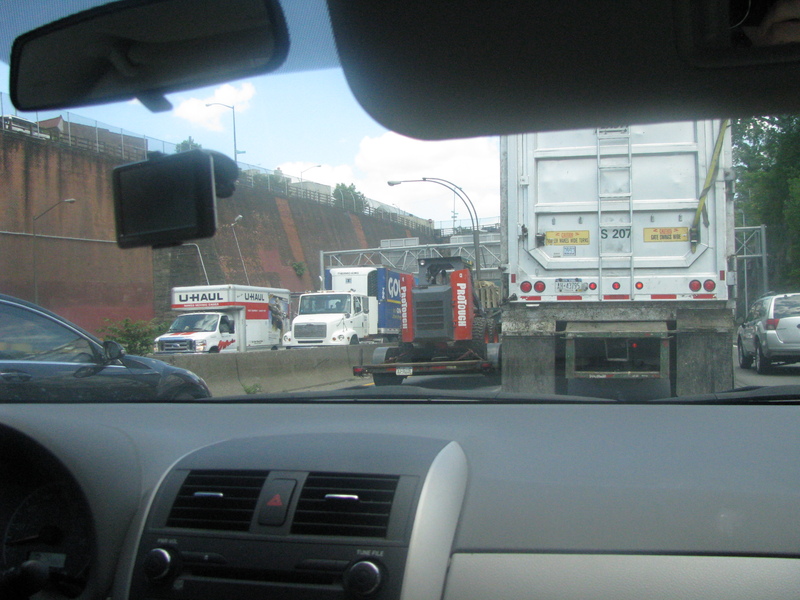 We embarked on June 30th, taking the toll roads through the Northeast Corridor with the majority of the drive spent on I-95 (I-84, I-90 and I-91 being our other, particular un-scenic routes of passage). The greatest highlights of Day 1 could be summed up in a tidy package. 1) Just over $30 in tolls. 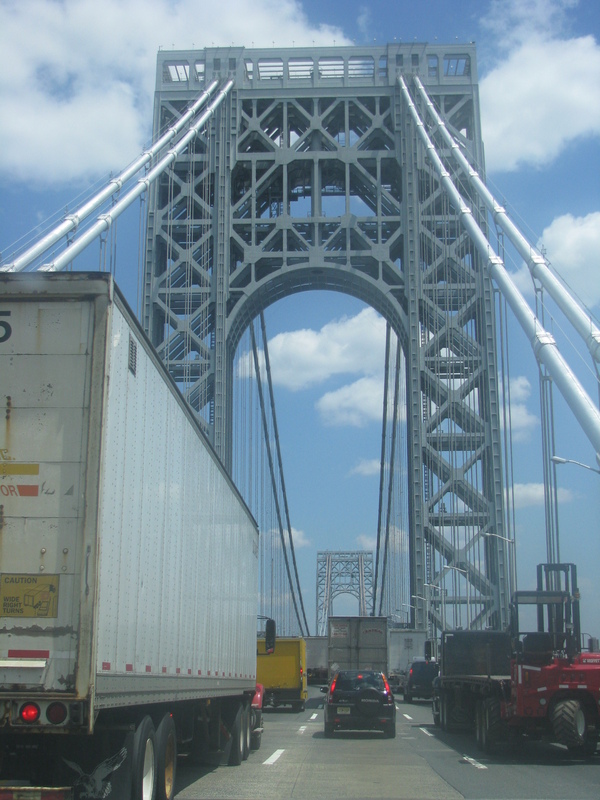 2) Somehow surviving the mash-up at the George Washington bridge in Manhattan. 3) Going through eight states in one day. Eight states in one day! Yes, I know you could do more if you wanted, but this was just a reasonable travel day, and we just happened to pass through eight whole states. With Breeah and I coming from Minnesota and Montana, respectively, we were hardly used to seeing a “Welcome to…” state sign every couple hours or so. For someone so firmly planted in a particular route of travel as a kid growing up in the Rockies (with extended family back east in the D.C. area), it was almost surreal to be traversing through New Hampshire and Maine – states that we never would have had a reason to go to. Maybe that is why I was so obsessed with Maine while growing up. I remember flying over Maine once on a flight from Amsterdam to Detroit in 2000 and looking out the window and seeing green everywhere. I wanted to go there for some reason. Maybe I liked the rather atypical name or maybe I wondered what was this state that seemed so out of the way and untouched? So I swelled with pride somewhat when I crossed the bridge from New Hampshire to Maine in the dusky hours of June 30th and was welcomed to the state that had eluded me for so long. I was finally here – but it was getting late and we had a little driving left until reaching our hotel. 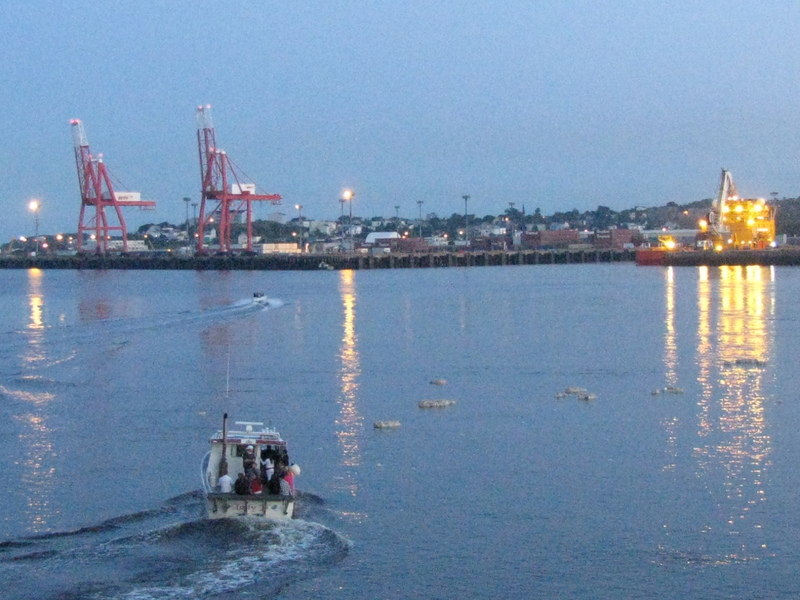 Portland was our destination that night and the city lights trickled onto the harbor as we pulled in. The Inn at St. John, a cozy little European hotel, was my pick for the night and it couldn’t have been a better choice. Parking is a little tight, but the cool, night air, the downtown location (right by the baseball field, where, coincidentally, the Portland Sea Dogs were playing that night) and just all around old-school charm coupled with a great price really make this the place to stay in Portland. We walked around for a bit before settling for McDonald’s for a late night snack (unfortunately, nothing else was open). 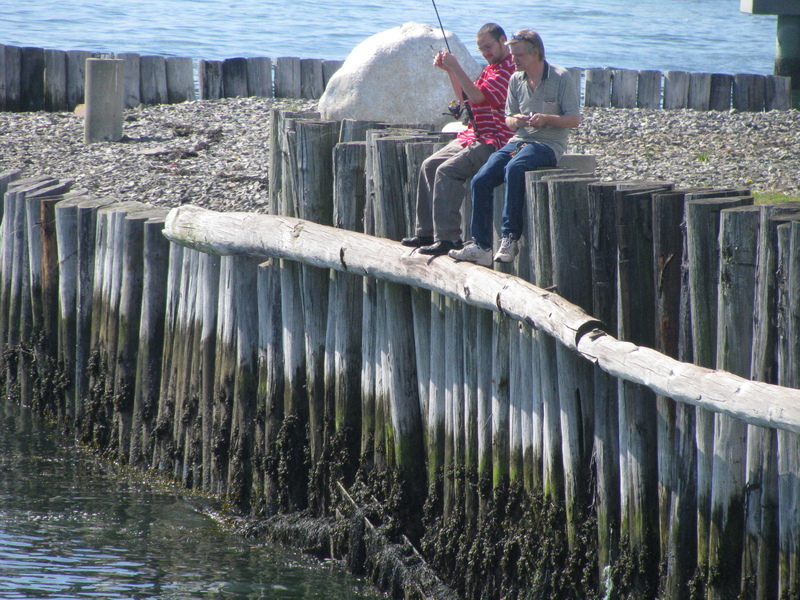 The next day we checked out the Portland Harbor before heading up to historic U.S. Route 1. There is absolutely no need to waste time on the interstate anymore when you are in Maine. However, we realized we’d be in for a very long day of driving if we stuck to Route 1 out of Freeport, so we doubled back to I-95 until Bangor before getting back onto the old road. 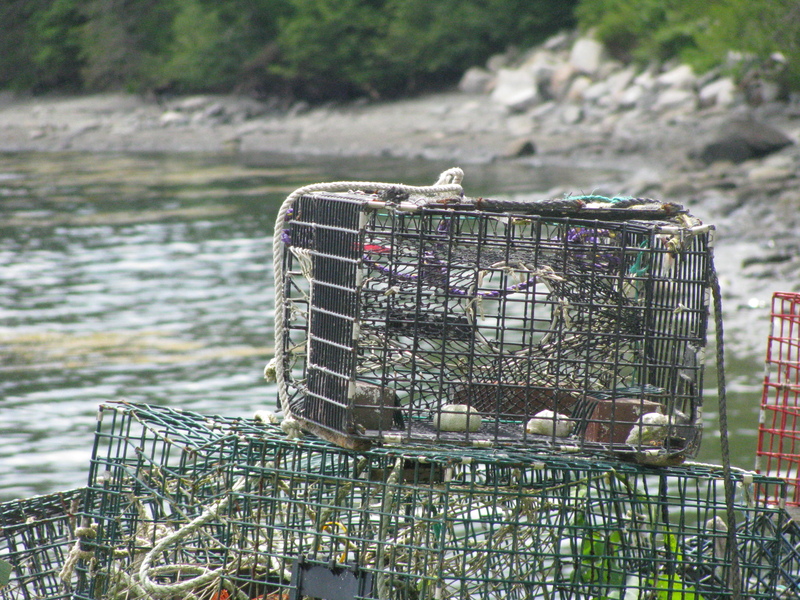 We wound through little coastal towns, forests and bogs, and small lobster harvesting operations. The road is chock-full of scenery and was one of the most pleasant drives I’ve ever experienced – it was mind-boggling that we were still on the east coast! Those rocks are the final plots of land in the eastern continental U.S.
Our ultimate destination that day (other than Saint John) was Lubec, Maine and the lighthouse at Quoddy Head State Park, the easternmost point of the continental U.S. Quoddy Head was astoundingly beautiful, with a lush, green forest, a rocky, jagged coast (with sea birds nestled on the outlying rocks, with no idea they were, at the moment, the easternmost creatures on our soil) and panoramic views of New Brunswick’s Campobello Island. It felt rather ethereal or otherworldly to be out here – on the edge of the earth (or at least the USA). 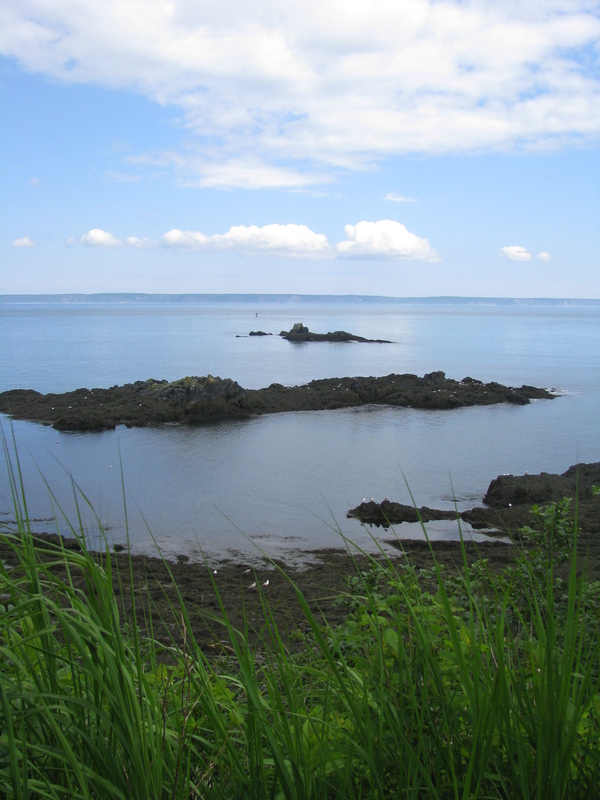 We spent a considerable amount of time at Quoddy Head, but still not nearly as much as we would have wanted to. What I thought would be an odd little detour to get my geo-oddity fix turned into one of our most memorable stops in 2011. 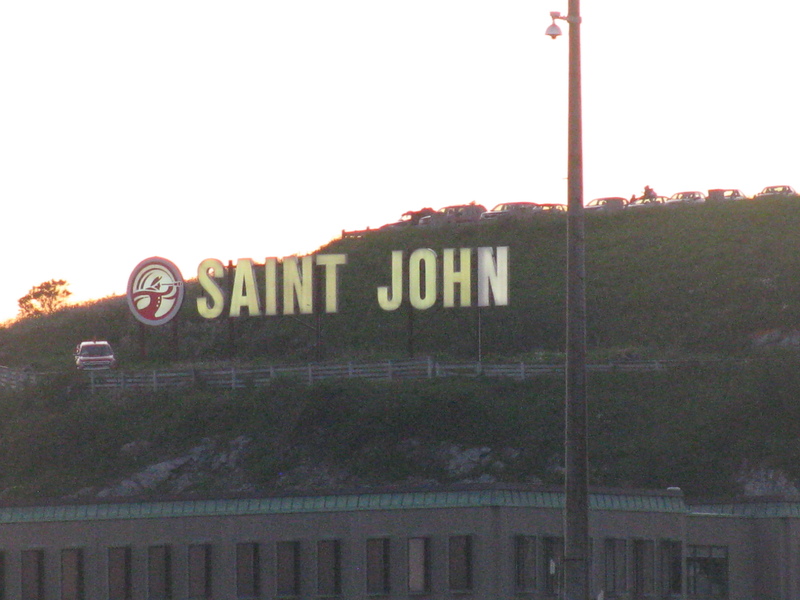 The city of Saint John, N.B. We made our way up to the border town of Calais for my first crossing into Canada as an adult driver. At this point I realized just how long it had been since I visited the country. What was likely more closer to ten years, I declared to the official that it had been about five years. I honestly didn’t remember the last time, even though I often ventured to Canada during my childhood and into my high school and early college years with my family). Breeah, on the other hand, holds dual citizenship as a natural born Canadian citizen and has been to across the border too many times to count. Tim Horton’s was a welcome sight for us in St. Stephen, N.B. – apparently a town that invented the Valentine’s Day Heart-shaped Chocolate box and is home to Ganong Chocolates. It’s essentially Hershey, PA without any of the pizazz – just chocolate. Anyway, we grabbed a few timbits and a sandwich and kept on trucking to Saint John. One thing to get used to is the speed limits (and distances) being listed in kilometers. Though most cars in the states have the km as a secondary grid on the speedometer (mine did), it’s still a tad tricky to train your eyes to read it. You eventually do the equation in your head and know that 100 km/h hardly gives you a license to put the petal to the metal (no need to grab your calculators – it’s 62 mph). Cars go fast here though, so the passing lanes dotting the mostly two-lane road to Saint John are a welcome site to pull over. We got to town around 7:30 with no end to the daylight in sight. 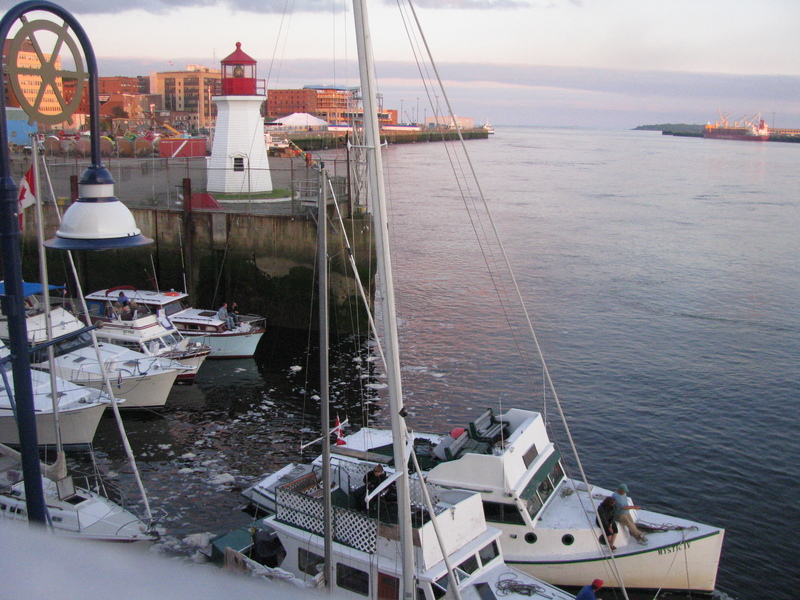 We had jumped up an hour due to Atlantic Time and all that really seemed to do was extend the daylight to nearly 10 p.m. We checked in at the Chateau Saint John and made our way to the harbor for the Canada Day festivities. Saint John’s roads are straight out of old town Europe and the maze would be even more unsettling if this was a major city. It’s big for Atlantic Canada, and at times feels cosmopolitan (especially near the harbor), but it’s just small enough in population to maneuver around ok. The boardwalk was packed with festivities. 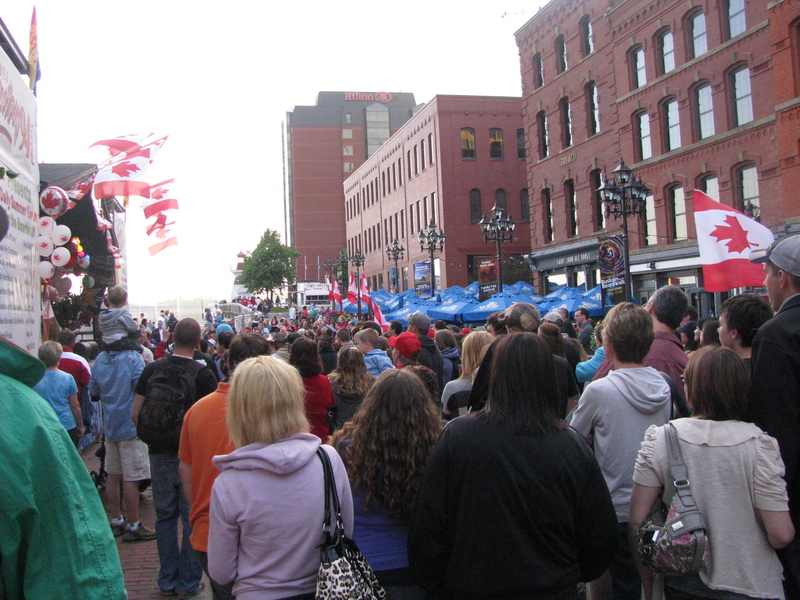 A typically Canadian alternative band was performing on-stage to the crowd’s delight. I was starving so we hit up the A&W inside the Market Square shopping center. I was still amazed at how bright and lively everything was at 9 p.m. (Yes, it was July 1 – but still – we were nowhere near dark yet). 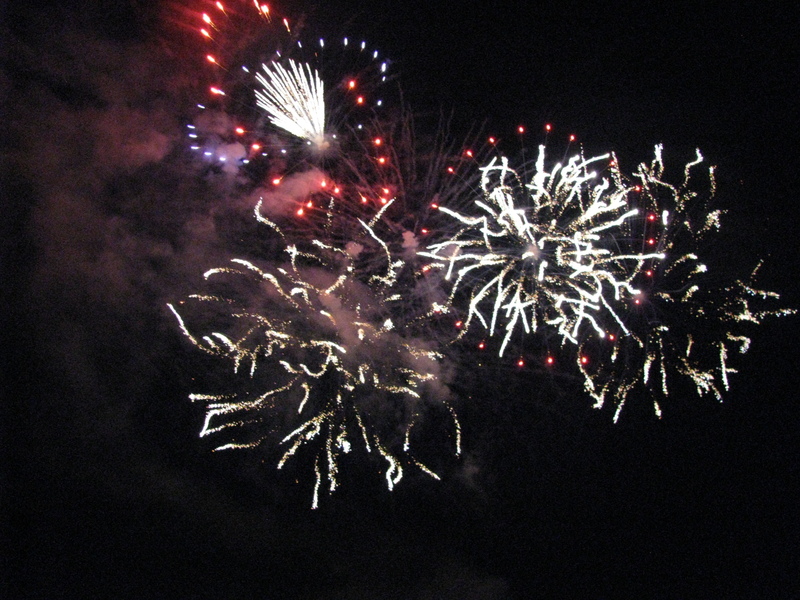 In fact, we had to wait until nearly 11 p.m. for sufficient darkness for the fireworks to go. And that is how our first night in New Brunswick ended. 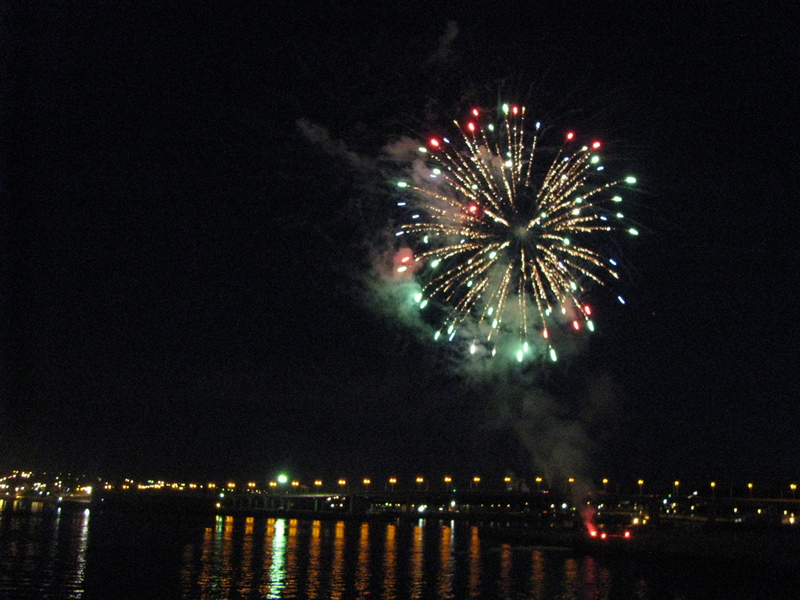 Fireworks dazzling over the Bay of Fundy with the Hollywood-esque Saint John sign beaming in the distance. What a sight it was!! 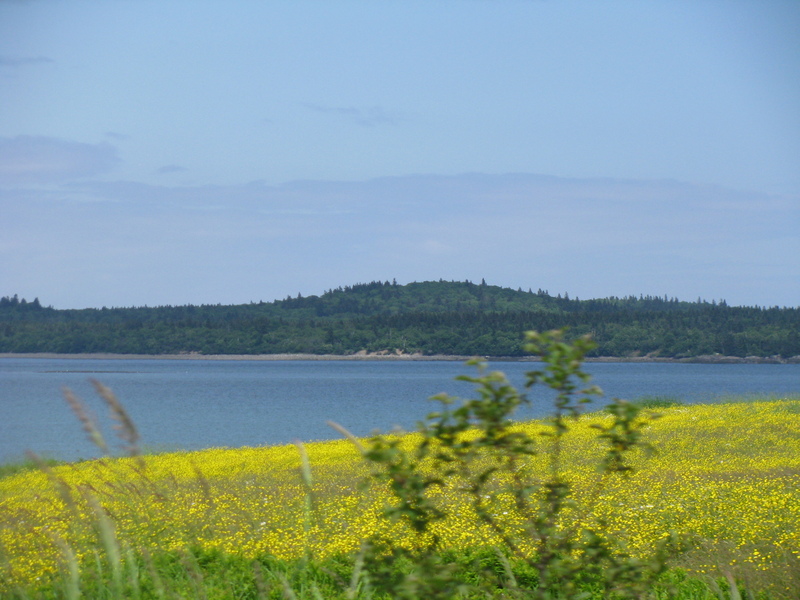 The next day we’d pick up with a trip to Fundy National Park, the Hopewell Rocks and make the journey across the Confederation Bridge to Prince Edward Island. 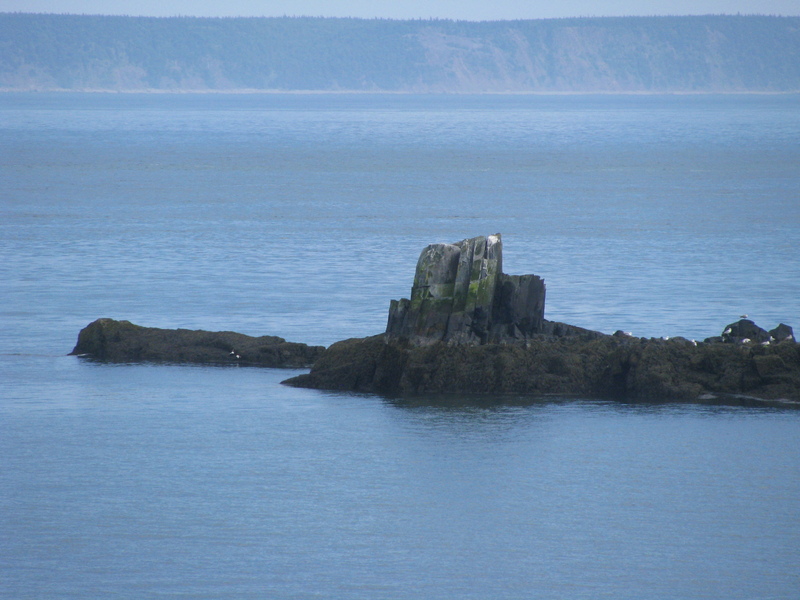 W. Quoddy Head is a must-visit. I’ve never had fried fish as good as at the little diner in Lubec.